Cleaning bathrooms is not my idea of fun. The thought of scrubbing toilets and tubs with toxic chemicals that leave me gasping for breath, despite my efforts to ventilate my work area, simply doesn't appeal to me. I'd much rather spend my spare time on the weekends breathing the fresh fragrant air outdoors. But as I am learning on this journey, cleaning doesn't have to be cruel -- for me or for the animals on which many of these chemicals are tested to ensure their safety for humans. As a vegan (or vegetarian) we have many plant-sourced, cruel-free options available for products that are effective at cleaning up our messes without destroying our health, our environment, or the animals who live with us on this planet we call home. 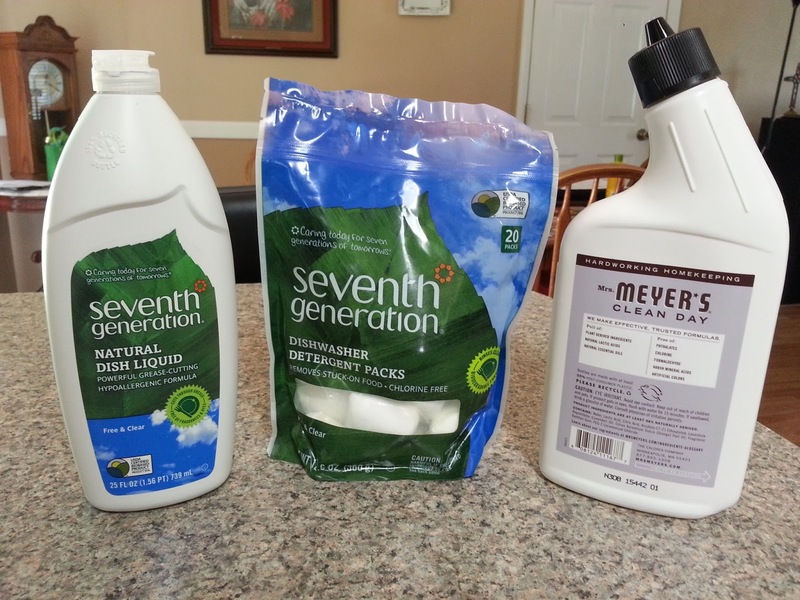 Shown below are just a few of the ones we have tried and found to be effective replacements for products we have used for years, to clean everything from dishes to counter tops to toilets and tubs. What a refreshing change to discover that I can thoroughly clean my bathroom now without ingesting a bunch of harsh chemicals! 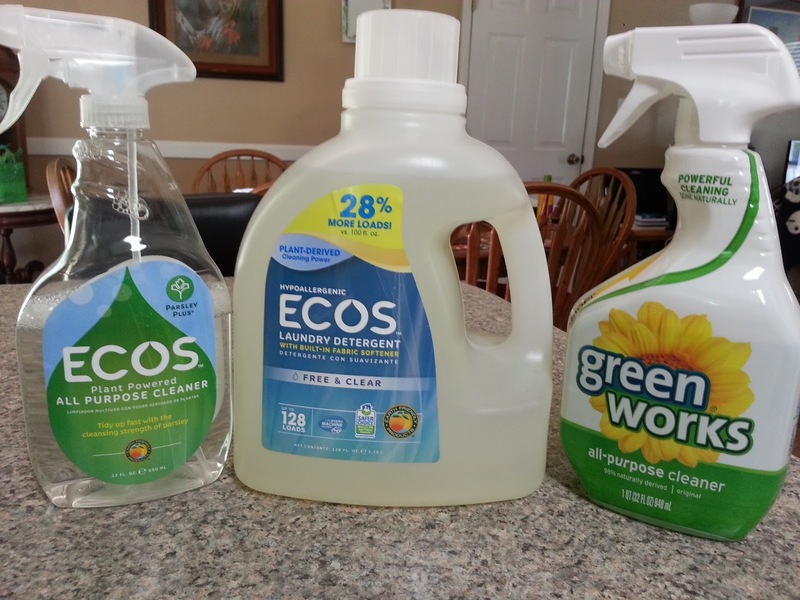 Ecos All-Purpose Cleaner, Ecos Laundry Detergent, and Green Works All-Purpose Cleaner were all purchased at our local Wal-Mart. I have been very pleased with the performance of each of these plant-based, cruelty-free products. Seventh Generation Dish Liquid and Dishwasher Detergent Pods were also purchased at Wal-Mart and work as well as any products I've used in the past. The dish liquid has a wonderful fragrance! and gets the tough job done! Next time you go shopping for household cleaners and laundry products, look for the Leaping Bunny logo or the words "Not tested on animals." Visit www.leapingbunny.org and www.crueltyfreekitty.com for lists of products not tested on animals. Prepare to be amazed!